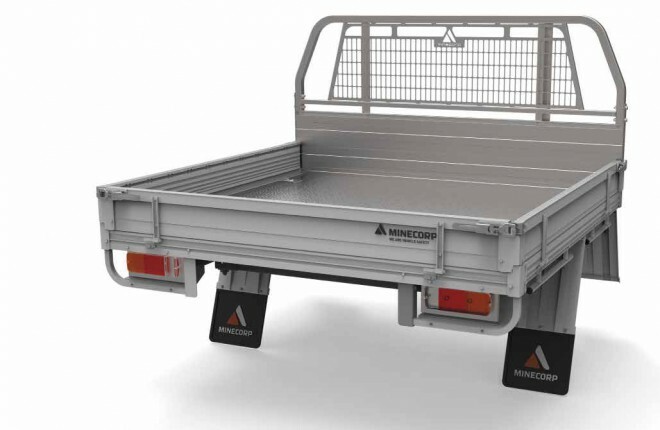 Minecorp’s range of Level 3 Steel tray is a heavy duty, steel tray with a galvanised finish. 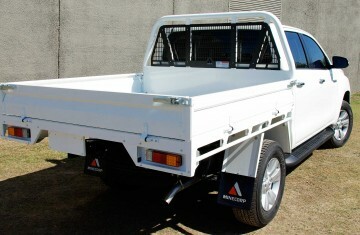 The tray features a fabricated headboard hoop with laser cut mesh load guard, internal tie down points, taillight and wiring guard, external rope tie rails and polypropylene mudguards. 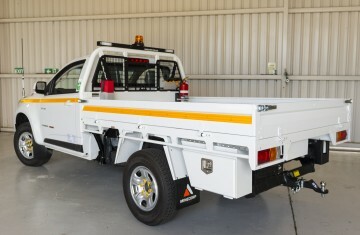 The steel tray features zinc plated hardware components and reinforced short drop sides/tailgate at 150mm in height for improved ergonomic loading of the tray. The AS4034 rated laser cut mesh load guard provides additional occupant protection against load intrusion. The tail light protector and wiring guard encompass the tail lights for a greater protection. 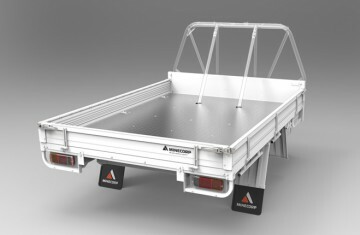 The heavy duty tray combined with honeycomb section extruded aluminium drop sides are designed by Minecorp for use in harsh environments and are a must have for any work horse.